The Kylan Jones-Huffman Memorial Lecture Series honors the memory of Navy LT Kylan Jones-Huffman (USNA 1994) who was killed in Hillah, Iraq, on 21 August 2003 while serving as an Intelligence Officer in the Marine Expeditionary Force. "War, Memory and Globalization: Commemorating the Arab-Israeli Conflict in Egypt and Syria"
Dr. Robert Rook, professor and chair of the Department of History at Towson, joined Towson University in 1995. He received his B.A. in History in 1980 from Furman University, M.A. in History in 1983 from Bowling Green State University and Ph.D. in History in 1996 from Kansas State University. His current research includes Representations of War in the Arab World and Water resource development in support of U.S. foreign policy during the cold War. His research interests are 20th century U.S., Environmental History, Military History and History Education. Some of his publications are "Dr. Strangelove Meets Dr. Spock: American Children, the Cold War" in Children and War (January 2005) and "Race, Water and Foreign Policy: The Tennessee Valley Authority's Global Agenda Meets 'Jim Crow,'" Diplomatic History (January 2004). "One Bullet Away: The Making of a Marine Officer"
After receiving a B.A. in classics from Dartmouth in 1999, Nathaniel Fick served as an infantry officer and then as an elite Recon Marine. He saw action in Afghanistan and Iraq before leaving the Corps as a Captain. His platoon were the subject of a series of articles in Rolling Stone which were the basis for the book Generation Kill by Evan Wright. Capt Fick is the author of One Bullet Away: The Making of a Marine Officer. He is now in a dual-degree program at the Harvard Business School and the Kennedy School of Government. "Historical Perspectives on Democracy in the Middle East"
Rashid Khalidi, Edward Said Professor of Arab Studies, received his BA from Yale in 1970, and his D.Phil. from Oxford in 1974. He is editor of the Journal of Palestine Studies, and was President of the Middle East Studies Association, and an advisor to the Palestinian delegation to the Madrid and Washington Arab-Israeli peace negotiations from October 1991 until June 1993. He is author of Sowing Crisis: American Dominance and the Cold War in the Middle East (2009); The Iron Cage: The Story of the Palestinian Struggle for Statehood (2006); Resurrecting Empire: Western Footprints and America's Perilous Path in the Middle East (2004); Palestinian Identity: The Construction of Modern National Consciousness (1996); Under Siege: PLO Decision-Making During the 1982 War (1986); and British Policy Towards Syria and Palestine, 1906-1914 (1980), and was the co-editor of Palestine and the Gulf (1982) and The Origins of Arab Nationalism (1991). "Dignity, Life and Duty in Islamic Law and Ethics"
Prof. Souaiaia received his PhD at the University of Washington, his MA and BA from Annaba University in Algeria before coming to the US. He is now a Professor of Religious Studies at the University of Iowa after having taught previously at the University of Washington. In addition to being a skilled and acclaimed teacher, Prof. Souaiaia has published a number of research articles in respected professional journals such as the Journal of Law and Religion, Studies in Islam and the Middle East, and Rethinking Polygamy in Islamic Traditions. Prof. Souaiaia is the author and translator of four books: Human Rights and Islam: The Divine and Mundane in Human Rights Law; Profiling Islamic Civilization: A History of the Legislative, Judiciary, and Executive Branches; Orality and the Formation of Islamic Law; and After Orality: From Inspired to Reasoned Precedent. "The Story of Abraham: Foundation for Unity or Strife in Judaism, Christianity and Islam?" 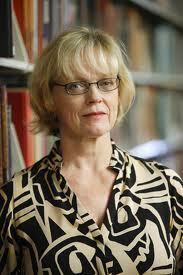 Prof. Delaney is a Professor of Anthropology at Brown University and emeritus at Stanford University. She has published widely on the Middle East and Islam, including Investigating Culture: An Experiential Introduction to Anthropology (2004), Abraham on Trial: The Social Legacy of Biblical Myth (1998), Naturalizing Power: Essays in Feminist Cultural Analysis (1995) and The Seed and the Soil: Gender and Cosmology in Turkish Village Society (1991). "Commanding Good and Forbidding Wrong in Islam"
Prof. Michael Cook is the Cleveland Dodge Professor of Near Eastern Studies at Princeton University. He is the author of a number of ground-breaking books including Muslim Dogma (1981) and Commanding Right and Forbidding Wrong in Islamic Thought (2000). Prof. Cook received his degrees at Cambridge University and the School of Oriental and African Studies at the University of London. He is a recent recipient of the prestigious Mellon Foundation Distinguished Achievement Award. 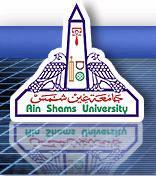 "Islamic Roots of Democratic Pluralism"
Abdulaziz Sachedina received BA degrees from Aligarh Muslim University (in Islamic Studies) in Aligarh, India, and Ferdowsi University (in Persian language and literature) in Mashhad, Iran. In addition, he studied Islamic jurisprudence at the Madrasa of Ayatollah Milani in Mashhad. He received the MA and PhD degrees in Islamic and Middle Eastern Studies from the University of Toronto. His doctoral dissertation was entitled "The Doctrine of Mahdiism in Imami Shi'ism: A Study of Doctrinal Evolution in the 9th and 10th Centuries". He has taught at the University of Virginia since 1976, he has held a variety of visiting professorships at Wilfrid Laurier, Waterloo and McGill universities (all in Canada), Haverford College (Pennsylvania), the University of Jordan (Amman), and Ferdowsi University of Mashhad (Iran). Professor Sachedina has lectured widely in the Middle East, East Africa, India, Pakistan and Europe. He is a core member of the Islamic Roots of Democratic Pluralism Project in the CSIS (Center for Strategic and International Studies) Preventive Diplomacy Program and a key contributor to the program's efforts to link religion to universal human needs and values in the service of peace-building. He serves on the board of the Center for the Study of Islam and Democracy. His books include: Islamic Roots of Democratic Pluralism, The Prolegomena to the Qur'an, The Just Ruler in Twelver Shiism: The Comprehensive Authority of the Jurist in Imamite Jurisprudence, Human Rights and the Conflict of Cultures: Western and Islamic Perspectives on Religious Liberty (co-authored with David Little and J. E. Kelsay), and Islamic Messianism: The Idea of the Mahdi in Twelver Shiism. "The Dot of Certainty in Islamic Art"
Prof. Mustafa is an artist and scholar of Islamic art. He has lived and worked in London since 1974 and directs the Fe-Noon Ahmed Moustafa Research Centre for Arab Art and Design, which he established in 1983. He has taught and lectured in many parts of the world, and is currently a visiting professor at the Prince of Wales's Institute of Architecture, London; the University of Westminster, London; and the Faculty of Fine Arts, University of Alexandria, Egypt. "Osama bin Laden: The Man and the Myth"
An Islamicist and a comparativist, Bruce B. Lawrence is the Nancy and Jeffrey Marcus Humanities Professor of Religion at Duke University. 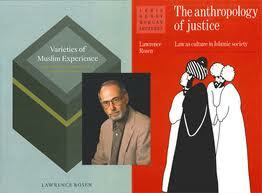 His early books explored the intellectual and social history of Asian Muslims. Shahrastani on the Indian Religions (1976) was followed by Notes from a Distant Flute (1978), The Rose and the Rock (1979) and Ibn Khaldun and Islamic Ideology (1984). Since the mid-80s, he has been concerned with the interplay between religion and ideology. The test case of fundamentalism became the topic of his award-winning monograph, Defenders of God: The Fundamentalist Revolt against the Modern Age (1989/1995). A parallel but more limited enquiry informed his latest monograph, Shattering the Myth: Islam beyond Violence (1998/2000). It is the thorny issue of religious pluralism and diasporic communities that guides his monograph on Asian religions in America, New Faiths/Old Fears (2002)He has also written three collaborative works with colleagues from the Triangle area. The first, Beyond Turk and Hindu: Contesting Islamicate India (2002), was edited with Professor David Gilmartin of North Carolina State University. The other was co-written with Professor Carl Ernst of UNC-Chapel Hill: Sufi Martrys to Love: The Chishti Brotherhood in South Asia and Beyond, and published by Palgrave Press (2002). Most recently, with his Duke colleague and spouse, Dr. Miriam Cooke of Asian and African Languages and Literatures, he has co-edited Muslim Networks from Hajj to Hip Hop, published in March 2005 by UNC-CH Press in a series that he also co-edits, with Professor Ernst, on Islamic Civilization and Muslim Networks. "Muslims Imagining the West Imagining Muslims: Constructing the 'Other' across the Religious-Cultural Divide"
Dr. Mahdi Tourage is a Professor of Islam in the Department of Religion at Colgate University in Hamilton, New York. He received his MA and PhD in Near and Middle Eastern Civilizations at the University of Toronto where he wrote his dissertation on "Phallocentric Esotericism in the work of Jalal al-Din Rumi." In this work he combines postmodern theories of gender and semiotics to interpret Persian Islamic mystical hermeneutics and studies of Jewish Kabbalistic texts. His work focuses more broadly in Iranian literature and mysticism and Islamic philosophy and religious thought. Prof. Mahdi has published widely in comparative religion, Middle East studies, gender studies, comparative literature, and in the field of mysticism. This includes articles in the journal of Iranian Studies, the International Journal of Middle East Studies, Journal of Material Religion, and Comparative Studies in South Asia, Africa, and the Middle East. Prof. Mahdi is also at work on a number of articles in material culture, Lacan's psychoanalytical theories in relation to Muslim and Jewish esotericism, and is revising his doctoral thesis into a book-length monograph. He has given a large number of conference papers and invited lectures throughout North America and Europe on a wide array of subjects. "King Sa'ud Bin Abd al-Aziz Al Sa'ud and his Role in the Arab-Israeli Conflict"
Professor of Religious Jewish Thought and Religions, Ain Shams University, Cairo, and Director of Center for Study of the Contemporary Civilizations, Ain Shams University. Prof. Hawary is the author of numerous books on Judaism in medieval Egypt with special attention to the study of the Geniza documents. He was a Senior Fulbright Fellow at the Jewish Theological Seminary in New York, and was the first Arab Muslim scholar to hold a fellowship at the Oxford Centre for Hebrew and Jewish Studies. "Lessons Learned from Previous Arab-Israeli Negotiations: Advice to the Next President"
Dr. Kenneth W. Stein is the William E. Schatten Professor of Contemporary Middle Eastern History, Political Science and Israeli Studies at Emory University, Atlanta Georgia. He founded and developed the International Studies Center, was the first director of the Carter Center (1983-1986), and established the Institute for the Study of Modern Israel (ISMI). 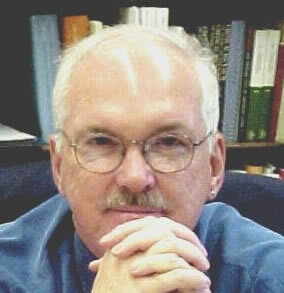 Professor Stein is the author of numerous books and publications. Among them are Hebrew and English editions of Heroic Diplomacy: Sadat, Kissinger, Carter, Begin and the Quest for Arab-Israeli Peace (Routledge:1999); Making Peace Among Arabs and Israelis: Lessons from Fifty Years of Negotiating Experience (United States Institute for Peace:1991), and The Land Question in Palestine, 1917-1939 (North Carolina Press: 1984, 1985, and 2003). Dr. Stein received his undergraduate BA degree from Franklin and Marshall College and two Masters and his doctoral degree from The University of Michigan. He studied for two years at the Hebrew University of Jerusalem. "Covering Israel: A Reporters Perspective"
Linda Gradstein has been the Israel correspondent for NPR since 1990. She is a member of the team that received the Overseas Press Club award for her coverage of the assassination of Israeli Prime Minister Yitzhak Rabin and the team that received Alfred I. DuPont-Columbia University Award for Excellence in Broadcast Journalism for her coverage of the Gulf War. Linda spent 1998-9 as a Knight Journalist Fellow at Stanford University. 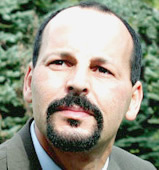 Gradstein has covered important events in Israel and the West Bank and Gaza Strip including the intifada, the mass immigration of Soviet immigrants to Israel, the return of Palestinian leader Yasser Arafat to Gaza, the rise of Hamas, the assassination of Yitzhak Rabin, the Gulf war, and two elections in Israel. Linda earned a bachelor's degree in Foreign Service from Georgetown University in 1985 and a master's degree in Arab Studies. She spent a year as a Rotary Fellow at the American University in Cairo. "Speaking of Islam: Identifying Bigotry and Double Standards in Public Discourse"
Jack Renard is a Professor of Islamic Studies in the Department of Theological Studies at Saint Louis University. He has a PhD in Islamic Studies from Harvard University and is the author of numerous books including Knowledge of God in Classical Sufism: Foundations of Islamic Mystical Theology (2002), Islam and the Heroic Image: Themes in Literature and The Visual Arts (1999). His most recent work, Friends of God: Islamic Images of Piety,Commitment, and Servanthood is published by the University of California Press (2008). "Descent into Chaos: The United States and the Failure of Nation Building in Pakistan, Afghanistan, and Central Asia"
Ahmed Rashid, a Pakistani journalist was the Pakistan, Afghanistan and Central Asia correspondent for the Far Eastern Economic Review for 22 years. His latest book Jihad, The Rise of Militant Islam in Central Asia was published in February 2002 by Yale University Press and has been translated into 15 languages. In 2003, it was published in paperback by Penguin Books and has also become a course book for universities throughout the US, Europe and Japan. An in-depth look at the torture practices of the United States in Afghanistan, Iraq and Guantanamo Bay, focusing on Dilawar, a 22 year old innocent taxi driver in Afghanistan who was tortured and killed in 2002. Alex Gibney is an Oscar, Emmy and DuPont Columbia award winning American film director and producer. His works as director include Enron: The Smartest Guys in the Room (2005) (nominated for an Academy Award), The Trials of Henry Kissinger (2002), The Human Behavior Experiments (2006), Jimi Hendrix and the Blues, and Taxi to the Dark Side (2007), focusing on an innocent taxi driver in Afghanistan who was tortured and killed at Bagram Air Force Base in 2002 (winner of the Academy Award for Documentary Feature). Several films he directed and/or produced have been screened at the Cannes, Sundance, and Tribeca Film Festivals. Gibney is the President of Jigsaw Productions, a production company which produces independent films, music documentaries, and TV mini-series. This year he won the Yale Film Studies' Program Award for his contributions to film culture. "Lost Cities of Central Asia: An Archaeology of War at Jam Afghanistan, Nishapur Iran, and Penjikent Tajikistan"
Iain Shearer is an archaeologist and research affiliate at the Centre for Applied Archaeology based at University College London. He has excavated in Afghanistan and Iran, including at Nishapur and is also employed as a freelance researcher for Lonely Planet guidebooks. "The Middle East and Afghanistan: Some European Thoughts"
Ambassador Gajus Scheltema is currently the Consul General of the Netherlands in New York. He previously has served as the Dutch Ambassador to Jordan and a political adviser to ISAF Regional Command South in Kandahar, Afghanistan. "Culture in Wartime: The Case of Iraq"
McGuire Gibson is professor of Mesopotamian Archaeology at the Oriental Institute and the Department of Near Eastern Languages and Civilizations at the University of Chicago. He is one of the world's leading authorities on ancient Mesopotamia. 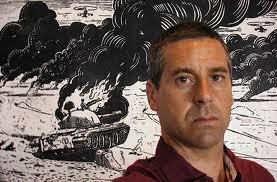 He has done fieldwork in Iraq and elsewhere in the region and has published extensively. He was as part of a National Geographic delegation visiting Iraq to inspect archaeological sites in 2003. He also has provided expert advice to UNESCO and other cultural and scholarly organizations working to preserve the archaeological heritage of Iraq. His fieldwork has taken him to Nippur, the religious center of ancient Mesopotamia. Additionally, he has done fieldwork in Yemen, Saudi Arabia and northeastern Syria. In 1992, he and colleague Augusta McMahon published Lost Heritage: Antiquities Stolen from Iraq's Regional Museums, the first academic publication to call attention to the problem of looting after the first Gulf War. He also is the author and co-author of numerous articles and books on ancient Mesopotamia. "The Death and Resurrection of Jewish Holy War"
Rabbi Firestone is Professor of Medieval Jewish and Islamic Studies, HUC-JIR/Los Angeles. He served for eight years as Director of HUC-JIR's Edgar F. Magnin School of Graduate Studies and the Jerome Louchheim School of Undergraduate Jewish Studies at the University of Southern California, which offers degrees in cooperation with HUC-JIR. Prior to joining the HUC-JIR faculty, he taught at Boston University and was Yad Hanadiv Research Fellow at the Hebrew University. He received a Center for Arabic Study Abroad (CASA) III research fellowship for the Spring 2006 semester for study at the American University of Cairo, funded by the Fulbright Binational Committee in Egypt and the U.S. Department of Education. In 2000, Professor Firestone was awarded a fellowship for independent research from the National Endowment for the Humanities, and was chosen to be a fellow of the Institute for Advanced Jewish Studies at the University of Pennsylvania in 2002. His specialties are early Islam and its relationship with Jews and Judaism, scriptural interpretation of the Bible and Qur'an, and the phenomenon of holy war. Naif al-Mutawa is the creator of the 99 ninety-nine – the first group of superheroes born of an Islamic archetype. A PhD in Clinical Psychology from Long Island University, he has had extensive clinical experience working with former prisoners of war in Kuwait as well as at the Survivors of Political Torture unit of Bellevue Hospital in New York. Professor Mohammed Arkoun is one of the most influential scholars in Islamic studies today, and one of the most original Muslim thinkers of the past few centuries. In a career of more than 30 years, he has been a critic of the tensions embedded in his field of study, advocating Islamic modernism and humanism. He is the author of more than two dozen books published in English, Arabic, French, Dutch, and Indonesian. His The Unthought in Contemporary Islamic Thought (London, 2002) is his most recent and influential work. Tom Segev is a historian, a columnist for Ha'aretz, an Israeli liberal newspaper, and has published eight books. His most recent books include 1967: Israel, the War and the Year That Transformed the Middle East (Metropolitan Books, 2006) and his forthcoming Elvis in Jerusalem: Post-Zionism and the Americanization of Israel. He earned a PhD in History from Boston University and a BA in Political Science and History from the Hebrew University in Jerusalem. He has been a visiting Professor at the Hebrew University, a Senior Fellow at Rutgers University, and a Fellow at Princeton University. Mark Robert Bowden is the author of Black Hawk Down: A Story of Modern War and ten other books. A number of his writings have been made into movies and television specials including his 2006 book Guests of the Ayatollah: The First Battle in America's War with Militant Islam. He is recipient of numerous awards and has written for Men's Journal, The Atlantic Monthly, Sports Illustrated, and Rolling Stone over the years. Dr. Jyttee Clausen "The Cartoons that Shook the World"
Dr Clausen is the Lawrence A. Wien Professor of International Cooperation at Brandeis University and Affiliate at the Center for European Studies at Harvard University. She is the author of The Cartoons That Shook the World about the Danish cartoons of the Prophet Muhammad and the worldwide protests that followed their publication. Her previous books include The Islamic Challenge: Politics and Religion in Western Europe, published German and Turkish translations, and numerous books and articles on immigrant integration, the European welfare state, and social inclusion. In 2007, Klausen received the Carnegie Scholars’ Award for research on the integration of Muslim faith communities in Europe. Klausen was a British Academy Fellow at Nuffield College, Oxford University, and a Bosch Public Policy Fellow at The American Academy in Berlin. She has a PhD from the New School for Social Research and a BA and MA from the University of Aarhus, Denmark. Dr Salimi is the Editor-in-Chief of al-Tasamoh (“Tolerance”) published by the Ministry of Awqaf and Religious Affairs of the Sultanate of Oman in Muscat. He is the author of numerous books including and Islamic Art in Oman. In addition to serving as the advisor to HE Shaykh Abdallah al-Salimi, Dr Salimi organizing the most prestigious international conference on Islamic law each year and continues his research on immigrant religions in the Middle East, the history of Oman, and Ibadi legal and theological theory. Dr. Rosen is a Professor of Anthropology at Princeton University where he also teaches law, comparative religious systems, American Indians and the law, and the theory of cultural systems. He is both an anthropologist and a lawyer. His main interests are in the relation between cultural concepts and their implementation in social and legal relationships. His main fieldwork has been in North Africa; he has also worked as an attorney on a number of American Indian legal cases. His publications include Law as Culture: An Invitation, The American Indian and the Law (editor), Meaning and Order in Moroccan Society (co-author), Bargaining for Reality: The Construction of Social Relations in a Muslim Community, The Anthropology of Justice: Law as Culture in Muslim Society, and Other Intentions: Cultural Contexts and the Attribution of Inner States (editor). He received the Presidential Distinguished Teaching Award in 1997 and was a Phi Beta Kappa Visiting Scholar for 1997-98. Dr. Rosen has a PhD in Anthropology and a J.D. from the University of Chicago. Dr. Leonard Greenspoon "From the Bible to Battle"
Dr. Greenspoon is the Klutznick Chair in Jewish Civilization at Creighton University. While visiting the Academy he lectured on the nature of warfare in the Bible. His argument focused on how Biblical warfare converges and diverges with modern concepts of "Just War Theory", civilian casualties, and torture. Additionally he made the poignant observation that a group's sense of 'Polity', even identity, during the Biblical period very much depended upon tangible, physical boundaries such as city walls, temples, or other constructs. A ruler's legitimacy before the people, and even God, then depended on his ability to maintain and defend those structures against that group's enemies. A breach in a wall meant a breach with God and the destruction of a people. As both an expert on the history of Jewish Bible translations and as a translator himself, Midshipmen were given the rare treat of speaking to a specialist who deals with primary language sources- the mark of a true academic. The subsequent discussion generated a number of questions from both Midshipmen and attending faculty all centered upon how cited passages are relevant to issues plaguing the Middle East today. SOCOM Commander ADM Eric T Olson (Class of 1973) visited the United States Naval Academy on March 22nd for a day-long schedule of meeting with midshipmen, faculty members, and to deliver a lecture in support of the Center for Middle East and Islamic Studies Kylan Jones-Huffman memorial lecture series. ADM Olson was generous with his time and advice to midshipmen who intend to pursue all career paths in the Naval Special Warfare community. The over-arching theme throughout the day was that midshipmen are more prepared than ever before to serve their country. Midshipmen have received more training in preparation for service and are more aware of the environment they will be deployed in than any other generation of war fighter. A.B. Yehoshua, "Jew, Zionist, Israeli: Refining and Honing the Definitions"
World renowned Israeli author A.B. Yehoshua delivered a thought provoking lecture on March 29th, 2011 dealing with the complex and multiple layers of Jewish, Zionist and Israeli identity. The issue of ethnic, religious and political identity is a fundamental debate driving societal issues around the globe. Prof. Yeshoshua used this underpinning to make the argument that there are core differences between the above three identities that have to be taken into account by Jew, or Non-Jew; Israelis, or Jews who live in the Diaspora. Midshipmen and the Annapolis community at large were provided with a feast of ideas and viewpoints that are applicable to other communities around the world. AMB Husain Haqqani "Role of Pakistan and US in Tackling Conflicts in Afghanistan and Pakistan"
Husain Haqqani was Pakistan's Ambassador to the United States from 2008 to 2011.A trusted advisor of late Pakistani Prime Minister, Ms. Benazir Bhutto, Ambassador Haqqani is known as a Professor at Boston University and Co-Chair of the Hudson Institute's Project on the Future of the Muslim World as well as editor of the journal Current Trends in Islamist Thought published from Washington DC. Scott Peterson is the Istanbul Bureau Chief for The Christian Science Monitor, and a photographer for Getty Images. One of the most well-traveled and experienced foreign correspondents of his generation, he has reported and photographed conflict and powerful human narratives across three continents for more than two decades, which include making 30 extended reporting trips to Iran since 1996. Those visits and years of research into Iran's politics, history, and culture form the backbone of Let the Swords Encircle Me: Iran--A Journey Behind the Headlines (Simon & Schuster, Sept. 2010). It was chosen as one of the "Best Books of 2010" by Publisher's Weekly, which reviews 7,000 titles a year. Amos Yadlin is a former general in the Israeli Air Force (IAF) and was the head of the Israeli Military Intelligence Directorate, known as Aman. Before being promoted to head of Aman, Yadlin was the Israeli Defense Forces (IDF) military attaché to Washington, D.C. Previously in his career he headed the IDF National Defense College. When Yadlin was an officer in the IAF he participated in Operation Opera, which destroyed one of Iraq’s nuclear reactors. He also served as Deputy Commander of the IAF. Yadlin obtained a B.A. in Economics and Business Administration at Ben Gurion University in Negev. He received a Master’s degree in Public Administration from the JFK School of Government at Harvard University. Timur Kuran is Professor of Economics and Political Science, and Gorter Family Professor of Islamic Studies at Duke University. His research focuses on social change, including the evolution of preferences and institutions. He has just completed a book, The Long Divergence (Princeton University Press, forthcoming 2010), on the role that Islam played in the economic rise of the Middle East and, subsequently, in the institutional stagnation that accompanied the region’s slip into a state of underdevelopment. Some of the archival work on which this book was based will be published, also in 2010, as a ten-volume bi-lingual set entitled Kadı Sicilleri Işığında 17. Yüzyıl İstanbul’unda Ekonomik Yaşam / Economic Life in Seventeenth-Century Istanbul, as Reflected in Court Registers. Among Kuran’s earlier publications are Private Truths,Public Lies: The Social Consequences of Preference Falsification (Harvard University Press, 1995) and Islam and Mammon: The Economic Predicaments of Islamism (Princeton University Press, 2004), each translated into several languages, including Turkish. Ambassador Oren has written extensively for The Wall Street Journal, The New York Times, and The New Republic, where he was a contributing editor. His two most recent books, Six Days of War: June 1967 and the Making of the Modern Middle East and Power, Faith, and Fantasy: America in the Middle East, 1776 to the Present, were both New York Times bestsellers. They won the Los Angeles Times' History Book of the Year prize, a National Council of the Humanities Award, and the National Jewish Book Award. Raised in New Jersey, where he was an activist in Zionist youth movements and a gold medal winning athlete in the Maccabiah Games, Ambassador Oren moved to Israel in the 1970s. He served as an officer in the Israel Defense Forces, in the paratroopers in the Lebanon War, a liaison with the U.S. Sixth Fleet during the Gulf War, and an IDF spokesman during the Second Lebanon War and the Gaza operation in January 2009. He acted as an Israeli Emissary to Jewish refuseniks in the Soviet Union, as an advisor to Israel's delegation to the United Nations, and as the government's director of Inter-Religious Affairs. BRUCE FEILER is one of America’s most popular voices on faith, family, and finding meaning in everyday life. He is the best-selling author of nine books, including Walking the Bible, Abraham and America's Prophet and one of only a handful of writers to have four consecutive New York Times nonfiction bestsellers in the last decade. He is also the writer/presenter of the PBS miniseries Walking the Bible. His latest book, The Council of Dad's tells the uplifting story of how friendship and community can help one survive life’s greatest challenges. Bruce Feiler has written for numerous publications, including The New Yorker, The New York Times Magazine, and Gourmet, where he won three James Beard Awards. He is also a frequent contributor to National Public Radio, CNN, and Fox News. He has been the subject of Jay Leno joke and a JEOPARDY! question, and his face appears on a postage stamp in the Grenadines. Currently a Ph.D. candidate in Near Eastern Studies at Princeton University, he has been a Fulbright Fellow in Yemen and a Fulbright-Hays Fellow in Egypt. Additionally, he has held multiple fellowships from the American Institute for Yemeni Studies and was awarded the David R. Schweisberg Memorial Scholarship from the Overseas Press Club in 2006. His research focuses on the Yemeni civil war from 1962 – 1970, which is the subject of his dissertation at Princeton. 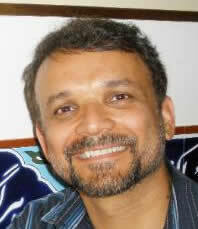 Along with his scholarly work, he has also written in a number of more popular venues on contemporary Yemeni politics. These include, among others, the New York Times, the Council on Foreign Relations, Foreign Policy, and many others. In 2009, he was a member of USAID’s conflict assessment team on Yemen. Johnsen has advised and consulted for a variety of different governmental and non-governmental organizations on issues relating to Yemen. He has appeared on CNN, the Charlie Rose show, PBS’ Newshour, NPR, al-Jazeera English, al-Hurra, the BBC and numerous other television and radio programs. He is often cited in news reports on Yemen, and has testified before the US Senate as an expert on the country. Dr. Joshua Landis- University of Oklahoma. On September 6, Dr. Joshua Landis of the University of Oklahoma visited the USNA and familiarized midshipmen with the day-to-day changes in Syria, the roots of the current civil war, and the potential outcomes of that bloody conflict. Speaking to a full audience in Mahan Auditorium, the speaker demonstrated an in-depth knowledge of not only contemporary events, but also the historical and religious roots of the Alawite and Sunni divide that promises to offer no short term solution to the violence. Dr. Landis throughout the day visited classrooms, attended noon-time formation and lunch in King Hall as well as met with CMEIS affiliated faculty members. Joshua Landis teaches modern Middle Eastern history and politics and writes on Syria and its surrounding countries. He writes Syria Comment, a daily newsletter on Syrian politics that attracts some 3,000 readers a day. It is widely read by officials in Washington, Europe, and Syria. On October 9, the Center hosted Iranian-American visual artists as part of the Kylan Jones Huffman Memorial lecture series. Attended by approximately fifty midshipmen and faculty members, the lecture provided a thoughtful synthesis of critical theory, art technique, and insight into middle eastern identity. Beginning the lecture with the seminal work by Edward Said, Orientalism, our guest lecturer used the main theme of the book to show the prevalence within western academia in the 18th and 19th centuries as depicting middle eastern populations as naive and only capable of decorative art, a pejorative among classically trained artists. Our presenters' work depicted throughout the lecture then attempts to play upon tensions within the east-west divide to create art that challenges commonly held biases in both cultures. Midshipmen commented afterwards that they very much enjoyed a lecture with visual appeal, yet still held intellectual weight. Babak Rahimi is Associate Professor of Communication, Culture and Religion at the Department of Literature, University of California, San Diego. He received a Ph.D from the European University Institute, Florence, Italy, in October 2004. Rahimi has also studied at the University of Nottingham, where he obtained a M.A. in Ancient and Medieval Philosophy, and the London School of Economics and Political Science, where he was a Visiting Fellow at the Department of Anthropology, 2000-2001. Rahimi has written numerous articles on culture, religion and politics and regularly writes on contemporary Iraqi and Iranian politics. His book, Theater-State and Formation of the Early Modern Public Sphere in Iran: Studies on Safavid Muharram Rituals, 1590-16t41 C.E., studies the relationship between ritual, social space and state power in early modern Iranian history. He has been a visiting scholar at the Internet Institute, University of Oxford and the Annenberg School for Communication at the University of Pennsylvania. He has been also the recipient of fellowships from the National Endowment for the Humanities and Jean Monnet Fellowship at the European University Institute, and was a Senior Fellow at the United States Institute of Peace, Washington DC, 2005-2006. Rahimi’s current research project is on the relationship between digital culture, politics and religion. On November 27 Iranian-American Philosopher and Science Fiction author Reza Negarestani delivered the final Kylan Jones Huffman lecture of the fall semester. Drawing upon a long tradition of Iranian narrative style, literary and social criticism and philosophy, Mr. Negarestani delivered a nuanced lecture on his novel Cyclonopedia. The author argues that the Science Fiction novel persists as the best medium in which to portray to an audience the abstract quality of his philosophical system. In Cyclonopedia he portrays Oil as a sentient being that ties together the disparate strands of historical memory that resides in the Middle East. From this abstract literary device he is able to show how not only westerners misunderstand the Middle East, but also populations residing in that region often fail to achieve an understanding as well. Furthermore, Negarestani attempts through his writing to show that axiomatic terms- such as the Middle East- often used casually by observers of social phenomena are in fact problematic and do not reflect reality. The lecture opened up new vistas for enquiry for midshipmen and faculty as well as demonstrated that Iran offers a wide range of cultural offerings not often depicted in the west. Dr. Fred M. Donner visited the United States Naval Academy as part of the spring semester's inaugural Kylan Jones Huffman Memorial Lecture series. Considered one of the world's foremost experts on Islam, Dr. Donner recently published Muhammed and the Believers, a book that has helped redefine our understanding of the early Muslim community during the time of the Prophet Mohammed. Enjoying a long career in Near Eastern Languages and Civilizations he has been on the faculty of the University of Chicago since 1982. An early interest in the relationship between pastoral nomads and the Islamic state resulted in his first book, The Early Islamic Conquests (1981). Work on the early Islamic period for his first book raised questions about the sources for that history, led him to investigate more deeply into the early development of Islamic historical writing, and resulted in his second book, Narratives of Islamic Origins (1997). This in turn caused him to ask how early Islam actually coalesced as a religion, a topic explored in his most recent book, Muhammad and the Believers: at the origins of Islam (2010). 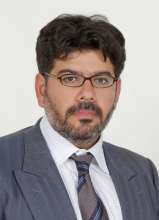 He has translated a volume of the medieval Arabic chronicle of al–Tabari (1993), written over forty scholarly articles, numerous encyclopedia entries, scores of reviews, and has received research fellowships from the National Endowment for the Humanities and the John Simon Guggenheim Memorial Foundation. Professor Donner will lecture at the Freer-Sackler Gallery on January 26 as part of the Roads of Arabia exhibit. Her Excellency Houda Ezra Ebrahim Nonoo was appointed Ambassador of the Kingdom of Bahrain to the United States by His Majesty the King of Bahrain, Shaikh Hamad bin Isa Al-Khalifa in July 2008. H.E. is also Ambassador of the Kingdom of Bahrain to Canada (non-resident). H.E. holds the distinction as the first person of Jewish origin and the third woman to be appointed Ambassador to Bahrain. Prior to her appointment she was president of Bahrain Human Rights Watch Society as well as held a position within the Kingdom’s Shura council appointed by His Majesty the King, Shaikh Hamad Bin Salman Al Khalifa in 2006. Ambassador Nonoo is one of the founding members of Bahrain Human Rights Watch Society (BHRWS) established in November, 2004, elected General Secretary in September, 2005. On October 10th 2008 Ambassador Nonoo was officially welcomed as an honorary member of the Board of Directors of the U.S.-Bahrain Business Council. H.E. has worked to improve working conditions in factories, raise awareness of the rights of women and children, campaigned for family and domestic law, and raised awareness of the plight of domestic workers. She is married and has two teenage sons. Said Sayrafiezadeh is an award-winning fiction writer, memoirist, and playwright. He is the recipient of a 2012-2013 fiction fellowship from the Cullman Center for Scholars and Writers, and the author of the critically acclaimed memoir When Skate Boards Will Be Free for which he received a Whiting Writer’s Award. It was selected as one of the ten best books of the year by Dwight Garner of The New York Times. His short stories and personal essays have appeared in The New Yorker, The Paris Review, Granta, McSweeney’s, The New York Times Magazine and The Best American Non-required Reading, among other publications his fiction debut, Brief Encounters with the Enemy, will be published by The Dial Press in August 2013. Said lives on New York’s Lower East Side with his wife, the artist and designer Karen Mainenti, and teaches creative writing at New York University. Said Sayrafiezadeh was born in Brooklyn in 1968 to an Iranian father and a Jewish American mother. He grew up in Pittsburgh. 2013/2014 academic year lecture information available upon request. Robert A. Rubinstein is Professor of Anthropology and International Relations at the Maxwell School of Syracuse University Syracuse University. From July 1994-June 2005 he directed the Program on the Analysis and Resolution of Conflicts at the Maxwell School. Rubinstein is an anthropologist with expertise in political and medical anthropology and in social science history and research methods. He received his Ph.D. in Anthropology from the State University of New York at Binghamton in 1977. He received a master’s degree in public health from the University of Illinois in Chicago in 1983. Rubinstein has conducted overseas research in urban and rural Egypt, where he lived from 1988-1992, and in Belize and Mexico. In the United States, he has conducted research in Atlanta, Chicago, and Syracuse. In political anthropology, Rubinstein’s work focuses on cross-cultural aspects of conflict and dispute resolution, including negotiation, mediation and consensus building. He is an originator of the field of the anthropology of peacekeeping. Since 1985, he has conducted empirical research and policy studies in this field. He examines the ways that the success of peace operations depend upon cultural considerations, and how organizational and institutional cultures can facilitate or frustrate coordination in peace operations. Rubinstein has collaborated on policy applications of his work with the International Peace Academy, the United Nations Department of Peacekeeping Operations, and the United States Army Peacekeeping Institute. Robert S Ford is currently a Senior Fellow at the Middle East Institute in Washington where he writes about developments in the Levant and North Africa. Mr. Ford in 2014 retired from the U.S. Foreign Service after serving as the U.S. Ambassador to Syria from 2011 to 2014. In this role Mr. Ford was the State Department lead on Syria, proposing and implementing policy and developing common strategies with European and Middle Eastern allies to try to resolve the Syria conflict. Prior to this, Mr. Ford was the Deputy U.S. Ambassador to Iraq from 2008 to 2010, and also served from 2006 until 2008 as the U.S. Ambassador to Algeria, where he boosted bilateral education and rule of law cooperation. Ford served as Deputy Chief of Mission in Bahrain from 2001 until 2004, and Political Counselor to the U.S. Embassy in Baghdad from 2004 until 2006 during the tumultuous establishment of the new, permanent Iraqi government. In 2014 he received the Secretary’s Service Award, the U.S. State Department’s highest honor. He also received in April 2012 from the John F. Kennedy Library in Boston the annual Profile in Courage Award for his stout defense of human rights in Syria. He has appeared on CNN, PBS, Fox, MSNBC, NPR, the BBC and Arabic news networks as well as in the New York Times and Foreign Policy. MG Giora Romm is a former deputy commander of the Israeli Air Force (IAF), Israel's former military attaché in the United States and the current director of the Civil Aviation Authority of Israel. Romm was the Israeli Air Force's first jet ace, scoring five kills during the 1967 Six Day War. In 1969, during the War of Attrition, Romm was shot down and spent several months in Egyptian captivity. He commanded the IAF's 115 Squadron through the intensive fighting of the 1973 Yom Kippur War and participated in Operation Wooden Leg, the 1985 raid against PLO headquarters in Tunisia. On June 6 Romm's aircraft was hit by anti-aircraft fire while leading a strike against Syrian positions on the Golan Heights. Suffering a light injury, Romm brought his stricken aircraft to a landing at Ramat David. He was back flying the next day, June 7, when he scored his final kills of the war. A 119 squadron three-ship formation was vectored to intercept Egyptian MiG-17s attacking Israel forces in the Sinai and Romm shot down two to become the IAF's first jet ace. Although other aces had served with the IAF before, Romm was also the first to score all five kills while flying for the IAF (as opposed to pilots who had scored while flying with allied air forces in WWII). A Segen (lieutenant) at the time, IAF commander Mordechai Hod incorrectly addressed Romm as a Seren (captain) at a victory dinner several weeks after the war. At the instigation of his fellow pilots, Hod promptly promoted Romm to the rank. Azfar Moin is Assistant Professor of Religious Studies. 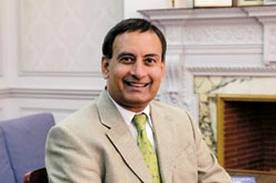 He received a Ph.D. in History from the University of Michigan-Ann Arbor and taught South Asian history at Southern Methodist University prior to joining UT-Austin. Prof. Moin studies the history of the pre-modern Islamic world from comparative perspectives with a focus on concepts and practices of sovereignty. His book The Millennial Sovereign: Sacred Kingship and Sainthood in Islam won the Best First Book in the History of Religions Award from the American Academy of Religion, John F. Richards Prize in South Asian History from the American Historical Association, and Honorable Mention for the Bernard S. Cohn Book Prize (South Asia) from the Association for Asian Studies. His current project, for which he received a Postdoctoral Fellowship for Transregional Research from the Social Science Research Council, focuses on ritual violence and kingship in late medieval and early modern Iran, Central Asia, and South Asia. Prof. Moin teaches courses on religious transformations in the early modern Islamic world, rituals and practice of sovereignty in Islam, and theory and method in the study of religion. Dr. Vali Nasr is a Middle East scholar, foreign policy adviser and commentator on international relations whose most recent book, The Dispensable Nation, deals with the implications of Obama administration’s foreign policy on American strategic interests. His earlier books, Forces of Fortune and The Shia Revival, examined the postwar sectarian violence in Iraq and the uprisings known as the Arab Spring and contributed to U.S. policy formulated in response to those events; prior to being named SAIS dean, was a professor of international politics at Tufts University's Fletcher School of Law and Diplomacy; from 2009 to 2011, was special adviser to the president's special representative for Afghanistan and Pakistan; served on the faculties of the Naval Postgraduate School, Stanford University, the University of California, San Diego and the University of San Diego; was a Carnegie Scholar and a senior fellow at Harvard University's Kennedy School of Government, an adjunct senior fellow for Middle Eastern studies at the Council on Foreign Relations and a senior fellow in foreign policy at the Brookings Institution; currently a member of the U.S. Department of State's Foreign Affairs Policy Board, and a director of the Rockefeller Brothers Fund and the National Democratic Institute; is a life member of the Council on Foreign Relations; Ph.D., political science, Massachusetts Institute of Technology. Dr. Carrie Wickham, Emory University: "The Muslim Brotherhood, Democracy and the Institutional Legacies of Authoritarian Rule." Specialization: Politics of developing countries, with a regional focus on the Middle East. Her current research examines the origins of political opposition in authoritarian settings, focusing on the rise of Islamic activism in Egypt and other Arab states. Other research seeks to identify the conditions for the political integration of "anti-system" parties in the Arab world, based on intra-regional and cross-regional comparison. Teaching interests include Third World politics; Middle East Politics; Islam and Politics; Democratic Transitions; and Comparative Social Movements. Dr. Roger Sorkin, Film Maker: Film screening,"The Burden." Roger Sorkin is the owner and executive producer of Sorkin Productions, a video production company specializing in public policy for a variety of clients including USAID, U.S. Global Leadership Coalition, Center for U.S. Global Engagement, International Foundation for Electoral Systems, Northeast Sustainable Energy Association and others. He is the producer, director, and writer of "The Burden: Fossil Fuel, the Military, and National Security", a feature-length documentary in production. Roger began his career in 1993 as the producer of a daily public affairs radio program, lived in Spain teaching English, and received a master of arts in communication from Stanford University's Documentary Film and Video Program in 2000. He worked for several DC-area production companies, helping produce a range of work from PBS documentaries to short videos for the U.S. Army, and then founded Sorkin Productions in 2002. His films have won numerous awards including best documentary at the DC Independent Film Festival, as well as honors from the Freedom Forum and American Sociological Association. Moisés Naím is an internationally-syndicated columnist and best-selling author of influential books including the recently-published The End of Power, a startling examination of how power is changing across all sectors of society, and Illicit, a detailed expose on modern criminal networks. In 2011, he launched Efecto Naím, an innovative weekly television program highlighting surprising world trends with visually-striking videos, graphics and interviews with world leaders which is widely watched in Latin America today. Dr. Naím gained international recognition with the successful re-launch of the prominent journal Foreign Policy and, over his fourteen years (1996-2010) as editor, turned the magazine into a modern, award-winning publication on global politics and economics. Dr. Henri Barkey, Wilson Center, Director of Middle East Program: "Turkey and the New Middle East: Actors, Borders, and the Reconfiguration of the Middle East." Dr. Henri J. Barkey is the Director of the Middle East Program at the Woodrow Wilson International Center for Scholars. 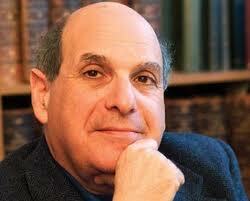 He is the former Bernard L. and Bertha F. Cohen Professor at Lehigh University. Barkey is also a former public policy scholar at the Wilson Center. His most recent works include Turkey's Syria Predicament (Survival, 2014) and Iraq, Its Neighbors and the United States, co-edited with Phebe Marr and Scott Lasensky (Washington, DC: United States Institute of Peace, 2011). He served as a member of the U.S. State Department Policy Planning Staff working primarily on issues related to the Middle East, the Eastern Mediterranean, and intelligence from 1998 to 2000. Dr. Marc Lynch, George Washington University: "The New Arab Wars." Lynch publishes frequently on the politics of the Middle East. His new book, The New Arab Wars: Anarchy and Uprising in the Middle East, was published by Public Affairs in 2016. His recent books include The Arab Uprisings Explained (Columbia University Press) and The Arab Uprising: The Unfinished Revolutions of the New Middle East (Public Affairs), which the Economist called “the most illuminating and, for policymakers, the most challenging” book yet written on the topic. His other books include Voices of the New Arab Public: Al-Jazeera, Iraq, and Middle East Politics Today (2006), selected as a Choice Outstanding Academic Book, and State Interests and Public Spheres: The International Politics of Jordan’s Identity (1999). Douglas M. Johnston is president and founder of the International Center for Religion & Diplomacy. A distinguished graduate of the U.S. Naval Academy, Dr. Johnston holds a Ph.D. in Political Science from Harvard University and has served in senior positions in both the public and private sectors. Among his government assignments, he was Deputy Assistant Secretary of the Navy; Director of Policy Planning and Management in the Office of the Secretary of Defense; and planning officer with the President’s Office of Emergency Preparedness. He has taught courses in international security at Harvard and was the founding director of the university’s Executive Program in National and International Security. Dr. Johnston is a Captain in the Naval Reserve and, at the age of 27, was the youngest officer in the navy to qualify for command of a nuclear submarine. 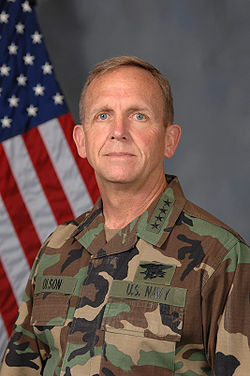 Prior to his current position, Dr. Johnston served as Executive Vice President and COO of the Washington-based Center for Strategic and International Studies. In addition to his managerial duties, he chaired the Center’s Preventive Diplomacy Program and its Maritime Studies program. His publications include Religion, the Missing Dimension of Statecraft (1994); Foreign Policy into the 21st Century: the U.S. Leadership Challenge (1996); Faith-based Diplomacy: Trumping Realpolitik (2003); Religion, Terror, and Error: U.S. Foreign Policy and the Challenge of Spiritual Engagement; and Religion and Foreign Affairs: Essential Readings (2012). In 2011, Religion, Terror, and Error won the “Book of the Year Award” by Foreword Reviews, the rating agency for universities and independent publishers. In October 2014, Dr. Johnston was honored by Georgetown University on the 20th Anniversary of the publication of his earlier work Religion, the Missing Dimension of Statecraft. In February 2015, he received the inaugural Distinguished Scholar Award for Religion and International Affairs from the International Studies Association. Dr. Andrew M.T. Moore, American Archaeology Association: "Digging up the World's First Farmers: An Archaeologist Reports from Syria." Andrew M.T. Moore is President of the AIA. Recently retired from Rochester Institute of Technology, he also taught European and world archaeology at the University of Arizona and Yale University. Dr. Moore has a particular interest in Scandinavian and Viking Age archaeology. Since 1960, he has participated in archaeological surveys, excavations, and field research in England, Italy, Malta, Croatia, Greece, Turkey, Israel, Iraq, Jordan, and Syria. His earlier research concentrated on the advent of agriculture and sedentary life in western Asia. In 2002, Dr. Moore began a new project to investigate the spread of farming around the Mediterranean and into southern Europe. At the invitation of colleagues in Croatia, he is conducting this research in central Dalmatia, through surveys and excavations at the Neolithic villages of Danilo and Pokrovnik. Since 2013, Dr. Moore has lectured to excellent reviews on several AIA-sponsored cruises, including one in the Baltic Sea. Dr. Shelly Pitterman, United Nations High Commissioner for Refugees: "The Syrian Refugee Crisis." Mr. Shelly Pitterman is the UNHCR Regional Representative for the USA and the Caribbean. He joined UNHCR in 1984 and served in Yei, Sudan (1984-1988); Headquarters Geneva on the Somalia Desk (1988-1990); N’zerekore, Guinea (1990-1992); and as the UNHCR Representative in Burundi (1992-1995). During his four year tenure as the Chief of UNHCR’s Resettlement Section, the Annual Tripartite Consultations on Resettlement began and the UNHCR Handbook on Resettlement was first introduced. He then established UNHCR’s Regional Support Center in Nairobi, Kenya before returning to Geneva as Deputy Director of the Human Resource Management Division. In 2005, he was seconded to UNRWA (UN Relief and Works Agency) to be the Director of Operations serving Palestinian refugees in Jordan. He returned to UNHCR in 2008 to lead UNHCR’s Human Resources Management Division, a position he held until his appointment to Washington. Mr. Pitterman is a native of New York City. He is a graduate of Brandeis University and earned his doctorate from Northwestern University.